Dr. Payam's Somatic Aliveness Psychotherapy website. Licensed Marriage and Family Therapist. My psychotherapy practice started over twenty years ago with a focus on serving the lesbian, gay, bisexual, transgender, and queer (LGBTQ) communities. 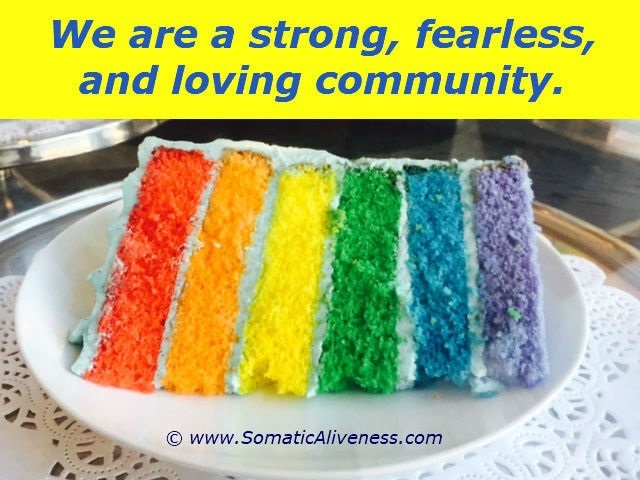 Given the buildup of homophobic and transphobic mistreatment that can remain in the body, the somatic work with LGBTQ clients need to involve releasing the inner buildup and resolving the fight-flight-freeze and fear cycles in the present moment. Since everyone’s pain is unique, and no one deserves to suffer in silence, it is important for LGBTQ people who are dealing with such issues to reach out and ask for help. Asking for help is a courageous act that people can do in response to their emotional pain. Copyright 2018 Somatic Aliveness. All rights reserved.